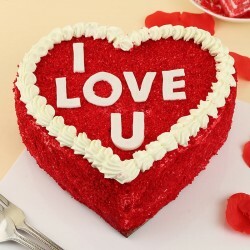 Valentine’s Day is a celebration of romantic love which is observed every year on February 14th. People from across the length and breadth of the Globe choose this day to express their heartfelt feelings for their lovers or significant others. However, in some countries, Valentine’s Day is not only about romantic love as it celebrates love in general, and therefore, people express their gratitude, care, and affection to their loved ones in different ways. Do you know how Valentine’s Day came into existence? Well, legend says, that Valentine’s Day is named after Saint Valentine, a Catholic priest who lived in Rome in the 3rd century. Although there are many stories about the origin of Valentine’s Day, the most popular and believed one is related to Saint Valentine. So, Saint Valentine was a priest who helped soldiers to marry in secret Christian ceremonies, which was against the strict laws of Emperor Claudius II according to which soldiers were meant to devote their lives to Rome and hence, marriage was a sin. When Emperor Claudius II learned about this, he put St. Valentine into the jail, where he fell in love with the jailor’s blind daughter. Some legends even say that St. Valentine even cured the girl’s blindness and his final act of love towards her before being executed on 14th February in the year 270 was the love message signed ‘From Your Valentine’. It was after 200 years of St. Valentine’s execution that 14th February was proclaimed as St. Valentine’s Day. How Is Valentine’s Day Celebrated? Valentine’s Day is celebrated in different ways across the world. Couples go to romantic candlelight dinners, vacations, and watch movies together. However, the traditional way of celebrating Valentine’s Day is giving Valentine gifts. 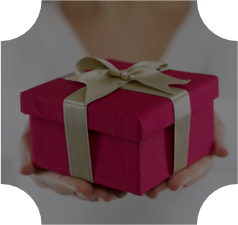 Yes, gifts play an important role in celebrating Valentine’s Day as they act as a token of love for your loved ones. Also, gift are the easiest way to convey your feelings to someone you love and to also make them feel special. You won’t believe that approximately 145 million Valentine’s Day cards and 50 million roses are given every year on Valentine’s Day. This proves that gifts actually help in making your beloved feel special on Valentine’s Day. Luxury Flowers: On a special day like Valentine’s Day, your sweetheart deserves something special and we are sure that our luxury flowers will cater your need. We provide a wide range of luxury flower arrangements that come in our signature box. Plants: If you are looking for a thoughtful Valentine gift that can show your partner how much you care for him or her then, they are plants. MyFlowerTree offers you different types of indoor and air-purifying plants like lucky bamboo, Jade, Sansevieria, Golden pothos, Aralia etc. Stylish Accessories: Needless to say that jewelries or accessories are mostly loved by women. 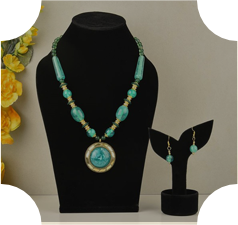 So, if you are looking for the best Valentine gifts for girlfriend then, you should definitely pick one from our stylish collection of jewelries that include earrings, rings, bracelets, neckpieces, bangles etc. Perfumes: Are you looking for Valentine romantic gifts? If yes, then, you can’t stop yourself from buying a nice-smelling perfume for your partner from us because we have got the best ones for you. From Adidas perfume for men to Hugo Boss gift set, UDV women perfume, Gucci perfume etc. 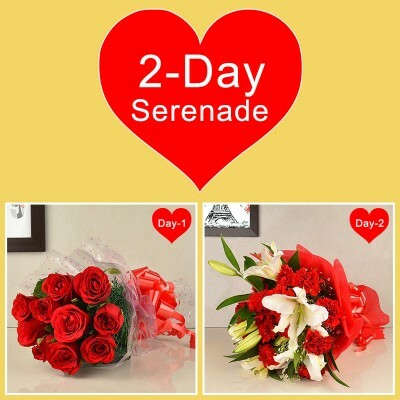 Online Flowers With Guitarist: Now get a musical surprise delivered to your girlfriend’s doorstep with us. 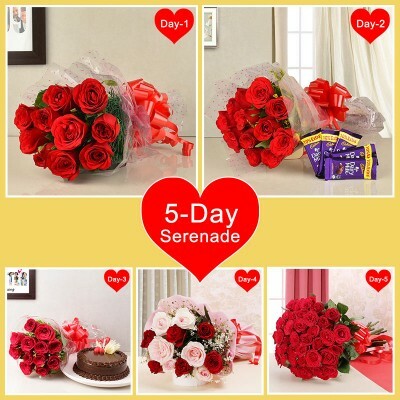 Now you can send a beautiful bouquet of flowers along with a guitarist, who will play your girlfriend’s favorite song at the time of flower delivery. Isn’t it so romantic? 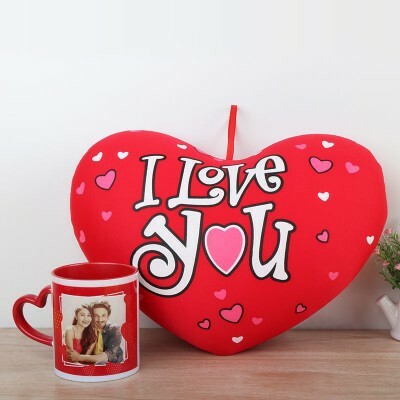 Apart from these our Valentine gifts collection is stocked with heart-shaped super soft cushions, couple show pieces, LED message box, customized gifts etc. You may not have the time to go out to buy Valentine gifts for your partner but, you don’t have to worry about it because now you can avail our Valentine gifts online delivery in India and place your orders online from the comfort of your home. 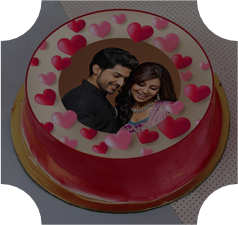 Whether you want to order Valentine cakes online or flowers or gifts, MyFlowerTree is your one stop shop for all kinds of Valentine’s Day gifts. This Valentine’s Day, make him feel loved and pampered with our exciting range of Valentine gifts for him. 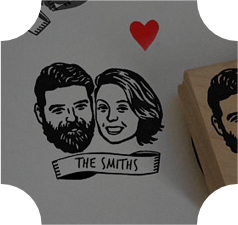 We know you are looking for the best Valentine gifts for boyfriend or Valentine gifts for husband and therefore, we have Valentine gifts for boys that are thoughtful and creative at the same time. 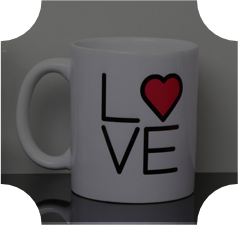 For example, we have gifts like photo LED bottle, complete men grooming kit, personalized mugs, chocolates, perfumes etc. 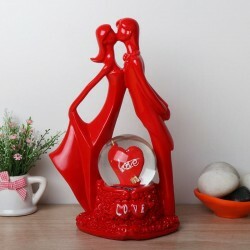 Whether you are to going to propose a girl that you have been in love with secretly or express your love for your girlfriend or wife, the best way to do so is with Valentine gifts for her. 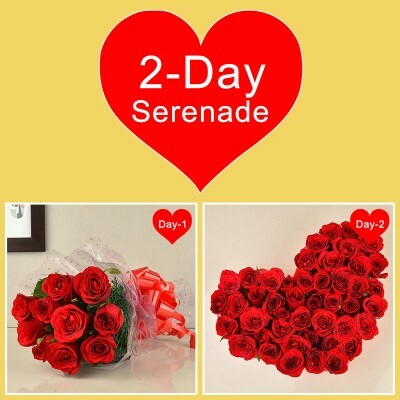 We, at MyFlowerTree, offer you a wide variety of Valentine roses online to help you renounce your love for your beloved. 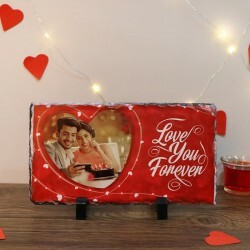 So, if you are looking for the most romantic Valentine gifts for wife or girlfriend then, you can check our collection of gifts that include assorted basket of flowers, photo frames, stylish accessories, printed mugs, heart-shaped cakes, chocolates, etc. Who says that Valentine is only for couples? We mean, self love is also a thing that we should start celebrating and acknowledging. So, while many of your friends will celebrate with their respective partners, you do not have to feel sad because now you can pamper yourself our wide range of Valentine gifts for single ladies and single friends. So, what you can do the best is invite all your single friends to your home, give each other Valentine gifts, and celebrate the day of love in a beautiful way. Love is a feeling that is inexplicable in words. Love is unconditional and it knows no bound. No matter how far do you live from your soulmate, if you guys are destined to be together, you will surely find your way. So, if you stay miles apart from your partner and cannot make it to his or her place this Valentine’s Day then, you can still celebrate the day together by sending Valentine gifts online with us. 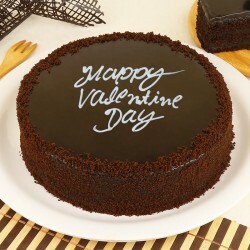 Now, send Valentine gifts online to India in a hassle-free way with our Valentine gift delivery in India. 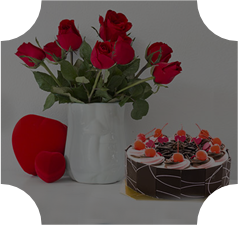 You can send Valentine flowers with cake or Valentine flowers with chocolate and many more gifts for your partner no matter where does he or she lives and make your presence felt. 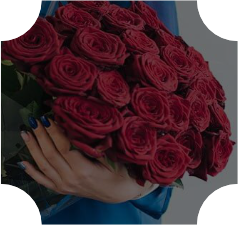 With the aim of making your Valentine’s Day a memorable one, we provide you the best Valentine’s Day gifts in the industry and guess, what’s more? It’s our lucrative Valentine’s Day offers, guys! Well, we offer our Valentine’s Day gifts available at affordable prices and to make your online Valentine shopping experience better, we also offer you a plenty of awesome deals, offers, coupons, and discounts. So, to enjoy the best Valentine’s Day offers in India, start placing your orders for Valentine’s Day right away! Valentine’s Day is a festival of love which is celebrated for an entire week. 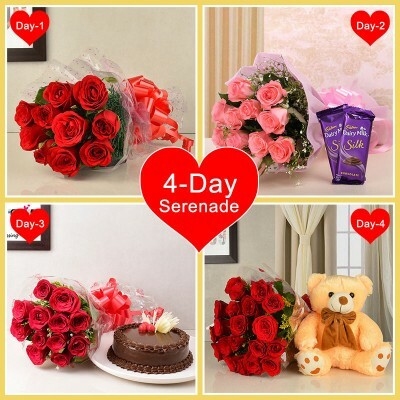 The Valentine week starts from 7th of February (Rose Day) and ends on 14th February (Valentine’s Day). Each day has a specific significance and celebrating these days with the right Valentine gifts do strengthen your bond with your lover. Roses have always been associated with love and romance. 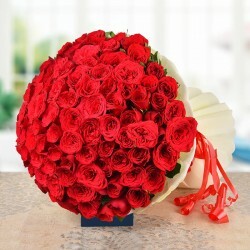 Therefore, the custom of Rose day is all about giving roses to your partner and making him or her feel loved. 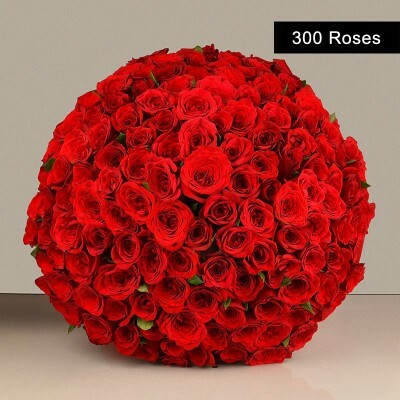 Since roses come in different colors and each color has a different meaning, MyFlowerTree offers fresh Valentine roses that are available in various colors. After Rose Day, comes Propose Day when people confess their feelings for someone they are in love with. So, if you want to propose someone on Propose Day, make him or her feel special by giving a gift. Chocolates are an aphrodisiac food that can spice things up between you and your partner on Valentine’s Day. MyFlowerTree offers you delicious chocolates, luxury chocolate boxes, heart-shaped chocolates, homemade chocolates that are sure to make everything mushy gushy this Valentine's Day. The fourth day of the week is celebrated as Teddy Day, when boys gift teddy bears to their girlfriends. We have the best quality of teddy bears that will ensure your girlfriend is fine when you are not around. Love is all about romance, faithfulness, togetherness, and promises. Hence, the fifth day of the Valentine week is celebrated as Promise Day, when couples make promises to each other. They make each other feel special by exchanging Promise Day gifts. On Hug Day, lovers hug each other and also shower each other with Hug Day gifts. 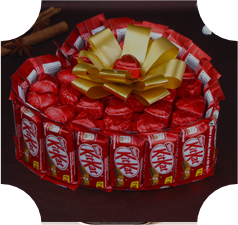 We offer a wide variety of Hug Day gifts like flowers, cakes, chocolates, etc. A day prior to Valentine’s Day is the time when you should seal your bond with a kiss. 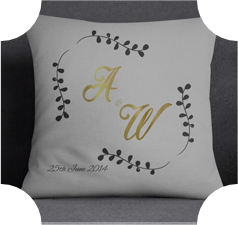 And, to do that in a romantic way, we have exciting Kiss Day gifts available on our website for you all. Then comes the Valentine’s Day which is celebrate on 14th February every year. So, this year make your Valentine’s Day a beautiful memory to cherish forever with our amazing Valentine’s Day gifts online. For us, our customers are priority. 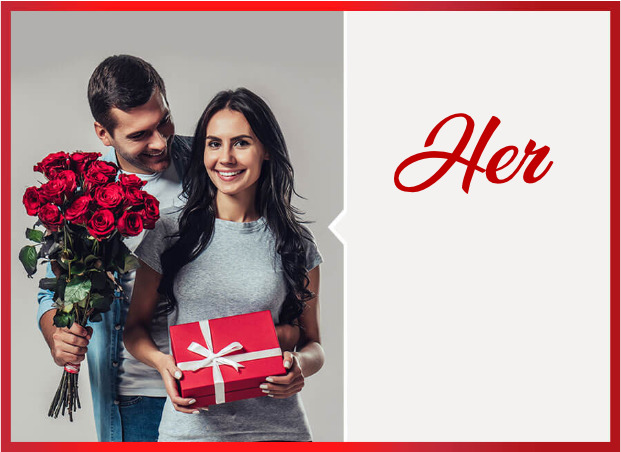 So, to make their online shopping experience a smooth-sailing one, we offer Valentine’s Day Same Day Delivery in more than 350+ cities of India and abroad as well. 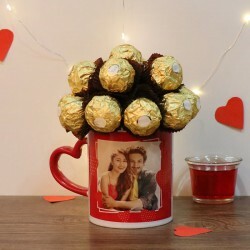 Therefore, now you can send Valentine gifts to Delhi or Valentine gifts to Mumbai or in any other city you want to and have those gift delivered to the recipient’s address on the same day. A surprise becomes more special when sent to the receiver right when the clock strikes 12 a.m. Therefore, if you want to send a romantic surprise to your beloved then, opt for our midnight delivery on Valentine’s Day and make him or her feel loved. 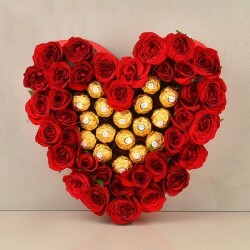 You can now send Valentine gifts online in Bangalore or Valentine gifts online Chennai or Hyderabad or anywhere else at midnight with MyFlowerTree. Products in this category have been rated 4.9 out of 5 based on 136 reviews.